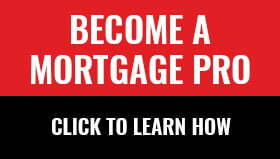 Rarely do banks leave the mortgage broker direct channel and return. This is one of those times. National Bank will once again be distributing the bank’s branded mortgage products directly through mortgage brokers in a new partnership with M3 Group. It is easily the best news story brokers have had in months. The partnership will reportedly bring back all of National Bank’s retail products to the broker channel, including its popular All-in-One line of credit. “All brands of M3 that are up and running on BOSS” will have access to the products, says Chamelot. VERICO, for example, will have Mortgage BOSS later this year. To be precise, NBC never fully left the broker space. It’s been funding mortgages from treasury via Paradigm Quest (a deal that will reportedly stay in place), and its National Bank Financial (NBF) dealer arm still funds multiple broker-channel lenders. In fact, it’s perennially #1 or #2 in that regard, among all Canadian banks. But brokers will upsettingly recall that NBC did leave the broker-direct channel. It did that for two key reasons, among others. For one, it got too expensive to originate via brokers. Compensation was too rich (remember how some top brokers were getting paid a ridiculous 140 bps on HELOCs that clients didn’t even use? ), back office expenses were too steep and Finastra electronic routing costs (i.e., the cost to get deals from brokers to the lender) were too high. On that last point, M3 says it has slashed the bank’s deal delivery costs, compared to what NBC used to pay Finastra. In NBC 2.0, brokers will send deals directly to NBC via M3’s proprietary Mortgage BOSS platform and upload their documents ahead of time. The system will be connected directly to NBC’s back-end. That’ll save the bank millions and give brokers much faster approvals. “What this partnership does is reduce origination costs because of direct connectivity, and much of the deal support comes through us.” That eliminates the need for as big of an underwriting team. The other reason NBC left is that cross-sell was weak. That’s slated to change. “The new process also comes with ability to offer other financial product offers,” says Chamelot. That means savings products, credit cards, etc. “This could be how we engage with other banks in the future,” notes Chamelot, suggesting that banks outside our channel could find the non-traditional broker economics of this arrangement appealing. 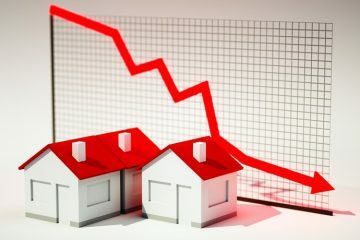 That appeal could be heightened by online competition and a slowing housing market, both of which could have banks searching for other origination methods to maintain market share, at least until their own digital mortgage channels are in high gear. The move also gives M3 a big advantage over smaller brokerages. “I do not see any of the smaller mortgage broker agencies being able to match any of this,” Chamelot says, referring to the considerable tech investment and security considerations required to pull this off. This NBC deal is one of the only times the scale of an M3 or DLC has paid off in terms of material product value to brokers. It’s reminiscent of when Mortgage Centre used to be the only brokerage with CIBC access. Of course, the big brokerages have plenty of their own white-label relationships. But they’ve mostly resulted in just plain Jane monoline products, at the same bland rates, under a different name. What brokers need most are balance sheet products, especially HELOCs and 1- to 4-year uninsured terms. That’s what banks bring to the table. This move is just that, and it’s injected 100 units of new blood into Canada’s broker channel.